Optus has begun a trial of femtocell technology in Australia, which the telco says will improve mobile reception and coverage in homes and offices affected by network black spots. 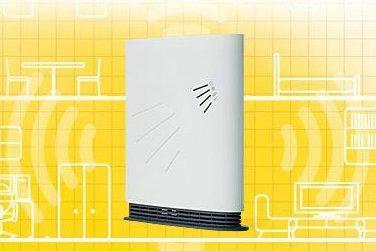 Dubbed the '3G Home Zone', the new Optus femtocell device is a small base station that plugs into a wireless router and uses a fixed-line broadband Internet connection to boost mobile coverage. Once operational, the Optus femtocell device should typically provide full mobile coverage within a 30 metre range. Optus recommends that the 3G Home Zone be connected to a broadband service with a minimum download speed of 1Mbps and a minimum upload speed of 256kbps — if the speed is capped at 128kbps or lower, the device will no longer work. A single Optus 3G Home Zone device can connect four Optus devices (mobile phones and mobile broadband products) simultaneously, but up to 12 devices can be registered. Optus says femtocell technology is ideal for homes or small businesses in Australia that suffer from poor or non-existent 3G mobile coverage. "We believe femtocells are an important way of enhancing the customer experience of the Optus Open Network by acting as a wireless gateway into home or office," said Optus consumer marketing director Gavin Williams. The Optus 3G Home Zone is currently on trial and will initially be available to selected Optus customers in Sydney, Brisbane, Wollongong and the Gold Coast. Optus sells the 3G Home Zone device on various pricing plans — the cheapest of which involves an upfront cost of $60 and $5 per month over 12 months on a $79 mobile plan or higher. The femtocell device can also be purchased for $240 outright. The Optus 3G Home Zone is the second femtocell device available in Australia after Vodafone's Expand product, though the latter is only available for business and corporate customers.